Now's the time! Kick off the new year with a new attitude and a stack of Year Flyers. Keep interest running high and marketing costs low with a beautiful, robin's egg blue flyer, that lets you add all your event details so there's no room for doubt. 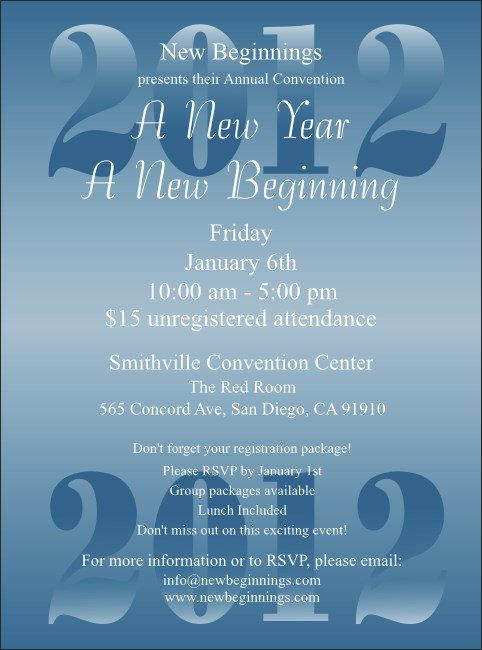 Part of a matching blue Year Event Kit, this flyer template lets you take charge of Year. Fast turnaround, professional printing: TicketPrinting.com makes your special occasion a breeze!